Sound Music Cities was born from direct experience in music-related policy, music development program implementations, and leadership of sound management initiatives. The team has extensive experience in music strategy that balances the needs of the music and nightlife industry with the needs of the community. Our growing list of clients includes WYEP Pittsburgh, The City of Pittsburgh Office of Nighttime Economy, The Pittsburgh Downtown Partnership, Charlotte Center City Partners, The City of Seattle Office of Film and Music, and the Government of the District of Columbia Office of Cable TV, Film, Music and Entertainment. Founded and led by music industry leader Don Pitts, Sound Music Cities is a passionate partner to cities seeking to measure and grow their music and entertainment economy. Sound Music Cities looks deep within each city, hand-crafting music ecosystem strategies that speak to the city’s unique, local dynamic. Our philosophy is centered on the notion that music is a key component of a livable city. No stranger to hard work, Pitts stands alongside each city to facilitate active forums with musicians, their fans, civic leaders and local governments—providing not only data or insights, but a clear path forward and innovative community sound management tactics. Tactics such as these reduced sound complaints in Austin by 70%, which was one of many successes within Pitts’ seven-year tenure with the City of Austin. His experience lends a seasoned perspective and strong appreciation for supporting data. But it’s his ability to successfully find common ground between the political world and the music industry landscape that gives Sound Music Cities an edge. Co-founder Peter Schwarz brings a perfect balance to Pitts’ expertise, and almost four decades of experience as a musician and business leader. They first officially joined forces when Pitts recruited Schwarz to work on Austin’s Long Term Music Industry Strategy. Together, along with a wide range of industry experts and technical consultants, they make Sound Music Cities. Sound Music Cities knows that roadblocks to a healthy music ecosystem are not unique to Austin, and recognizes that each city’s music economy has important differences. It’s a lot like music. Each city has its own rhythm with stakeholders working and learning from each other. And when it all comes together, that’s when the magic happens. Sound Music Cities was excited to release The Pittsburgh Music Ecosystem Study in July of 2018. This body of work explores themes and recommendations around Leadership Development, Career Development, Regulatory Reform, Industry Development and Audience Development. It provides a comprehensive current state audit, but better yet – a clear path forward to ensure the local music industry’s future success. At the heart of this report is a theme of community and collaboration – parts to the whole – a theme Pittsburgh is well-positioned to deliver on with this new roadmap. Today, let’s talk about venues. 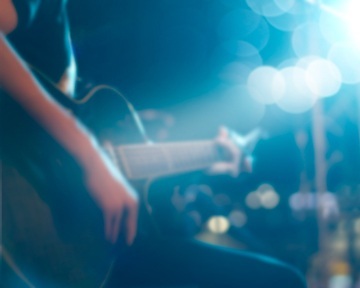 Just as musicians contribute to our music ecosystems, live music venues are an equally important part of the equation. This type of thinking needs to be incorporated into governmental operations. Cities of all sizes should be implementing strategies that incorporate best practice policies with venue success in mind.